Can you explain what exactly a derivative is? I have a massive textbook beside me called Derivative Fundamentals that barely scratches the surface. In its essence, a derivative is a security that derives its value from something else. At Massive Rainfall, our securities are valued based on the temperature, amount of rainfall or the wind speed on a specific date for a specific city. OK. But what good are weather derivatives ? Well, everyone is affected by weather. It affects us every day. It is the ultimate Breaking News story. Technology has advanced so far yet predicting weather accurately 14 days ahead is next to impossible. Putting a price on weather derivatives will help put a price on being wrong, and a profit for being right. OK. But I’m not an investor. I even stay away from the stock market. If you have ever bought insurance, you’ve participated in a derivative market. Insurance is nothing more than a put option (or shorting) a derivative derived from something bad happening. Weather derivatives can be seen as insurance against bad weather ruining your wedding, vacation or weekend. Well how do I get started? 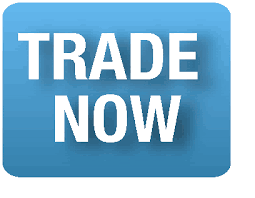 Login with an email or Facebook then select “Trade Futures”. Enter a city and find a future date. Choose a “price” for rain in millimeters, for wind in km/h or temperature in degrees Celsius. Submit the order and see what happens. What about these other Order Entry screens – Celebrities? Traffic? Not everyone is interested in weather. But derivatives for certain measurable people could possibly be traded in the future. These pages will log the amount of interest there is in other types of securities.